Isn't it even offensive to call the Indigenous people of this land "American" or "Indians"? An American Indian nation in upstate New York is launching a radio campaign asking the Washington Redskins to ditch the Redskins name which they say is offensive. The Oneida Indian Nation plans to run ads on stations in Washington before the team hosts the Philadelphia Eagles Monday night. 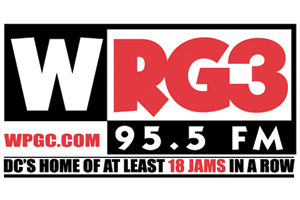 WPGC has a history of supporting their local NFL team and launched a promotional campaign that confused more than a few listeners when they "changed" the name of the station last season in support of injured Washington quarterback Robert Griffin III a.k.a. RG3. 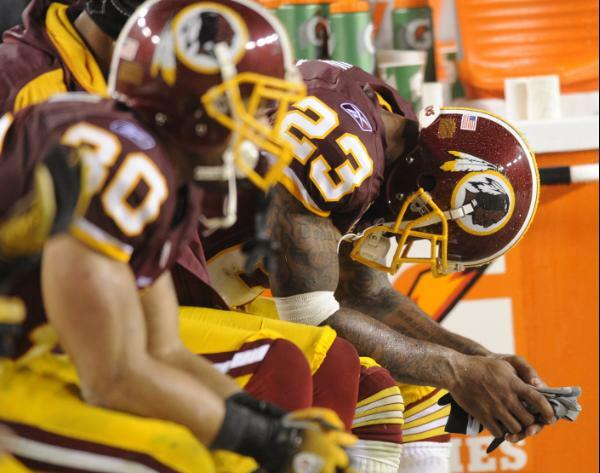 Now with no mention of the Redskins at all, at the beginning of the season is unusual indeed. The Oneidas have been vocal opponents of the Redskins nickname -- be it for NFL or high school teams. The tribe, which runs a casino and resort in central New York, this year gave $10,000 toward new jerseys to an area high school that changed its nickname from the Redskins to the Hawkeyes. The Oneida said the first ad will run Sunday and Monday on several stations in Washington. More ads will run in Washington during home games and in the cities hosting the team when it is away. A spokesman for the Oneidas would not say how much the campaign would cost beyond "multiple thousands." Would anyone have a problem with calling the team The Washington Rednecks?